Travelling, whether it’s a three months or two years trip abroad, has become a popular approach to taking a holiday. And while spending your time moving between cities, carting your weighty backpack with you as you go, is a great way to encounter new countries and spectacular locations, volunteering in one place for a few months can equally satiate your appetite for adventure. Not only this, but it can completely change your perspective on your job, your life and leave you with the most incredible memories that no other form of travel can rival. 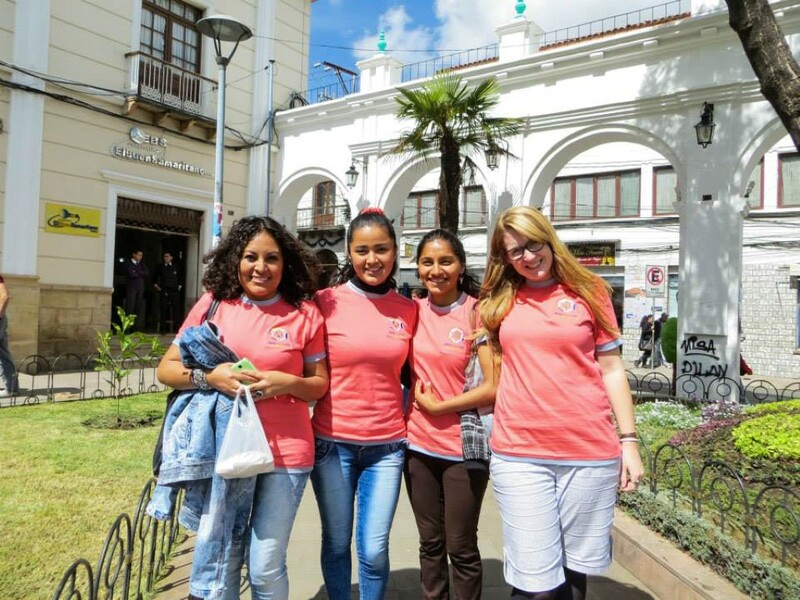 Here’s why you should volunteer abroad. For many, volunteering is a seen as a way of developing your CV, and it is often a route taken by many pre- and post-university students. But it doesn’t only have to be for this demographic. When I left the UK at the age of 26, I’d already spent five years working towards a career in teaching, only to come to the realisation that this wasn’t actually what I wanted to do with my life. And I’ve seen that I’m not alone in this. During my travels here in South America, I’ve met countless others who are in a similar position: in their late twenties, early (or even late) thirties and using volunteering as a way to travel the globe, and more importantly, helping them to discover a new career and direction in life. 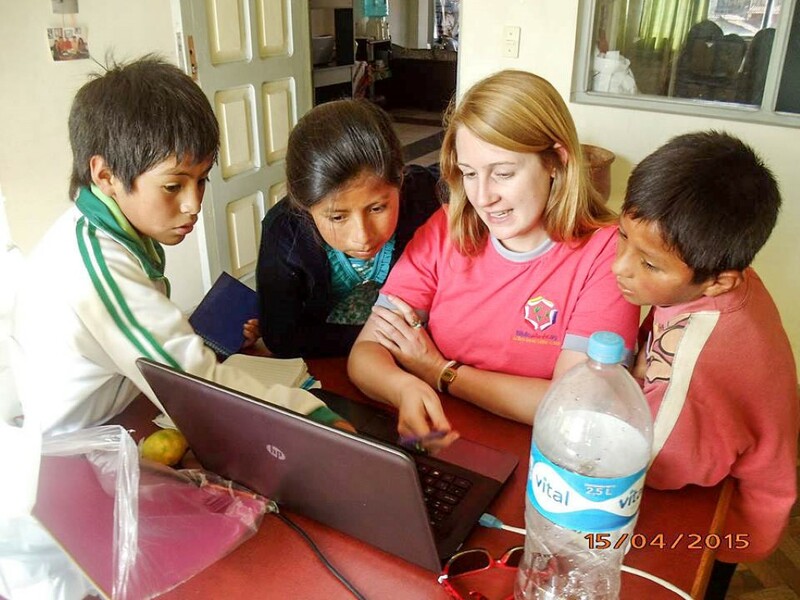 While I currently have no plans to return to the UK and embark upon a new career there, thanks to my volunteer experiences, I’ve learned that I couldn’t spend my days working at a desk job, and that I really do love teaching. Volunteering, and the varied experiences that it can present, has given me a way of recognising my own skill-set, but also pinning down my passions and motivations, and how these could be translated into a job. If you’re not quite sure exactly where you’re going in life, volunteering in a thoughtfully-selected placement can help you to open your horizons and re-evaluate exactly where your future lies. Even if you’re sure that your career path is for you, volunteering can be a steep, and highly beneficial learning-curve. Let’s face it: in which other context would you have the chance to learn a new language, or mix with people from different cultures and backgrounds? Since starting my travels, I’ve worked hard to attain near fluency in Spanish – a skill that I would never have acquired in teaching – and I’ve learned how working with people in another language, and out of your own comfort zone, will increased your confidence in all situations. But added to this, volunteering is a way of trying out new roles, and learning a lot about your own capabilities. Are you independent enough to travel numerous hours into the middle of nowhere on a local bus, alone, to visit a community project? Maybe not yet, but you soon will be. Have you ever led a workshop in your second language? Just imagine the sense of achievement when you realise that you can. You might not recognise it while in the middle of volunteering, but once you have a chance to reflect on those experiences, you’ll suddenly realise how much they have shaped and grown you as a person. Challenges that would have daunted you before will suddenly seem so much more manageable. When I started working for BiblioWorks in Sucre, Bolivia, one of my first introductions to the role was a trip into the countryside to visit our first ever library. Our purpose was to attend the high school graduation of the librarian of the BiblioWorks’ funded library. 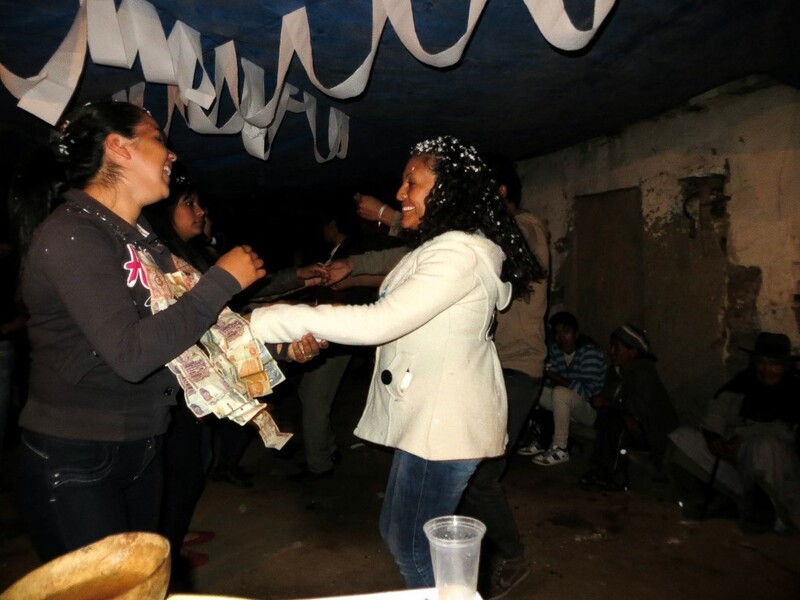 Not only did I get to attend the ceremony – an experience so completely different to my own in the UK – but we were invited that evening to join her family and friends as they celebrated: cue mountains of food and a disproportionate amount of té con té (hot singani) and chicha (a fermented maize alcohol). 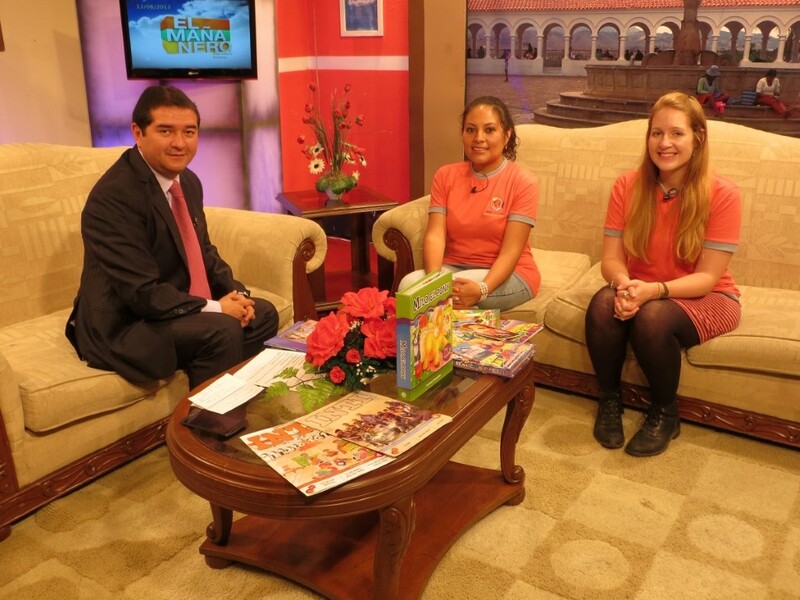 It was a wonderful introduction to Bolivian customs, and an experience that was available to me entirely thanks volunteering. During my time working with BiblioWorks, I was not short on adventures: I helped translate and lead a community meeting in English, Spanish and Quechua, where we discussed opening a new farm; I was interviewed in Spanish on live Bolivian television and radio, and I spent time teaching in a small school in a remote community, just outside of Sucre. These were all experiences that would have never been possible without that commitment to my volunteering role. So if you want adventures and insights into a country that few other travellers will ever have, choose a volunteering programme that can get you out of the tourist city hotspots and give you unexpected and unique experiences. Wherever in the world you want to go, the different types of available volunteering programmes and locations are endless. I’ve focused on working for education charities as this suits my expertise, but you’ll find any number of organisations working in all different sectors. But regardless of the type of organisation, what I’ve enjoyed most is when I’ve volunteered rurally. I spent a month volunteering in a small village around 40 minutes from La Paz, Bolivia with the organisation Up Close Bolivia. Set in the spectacular Valley of Flowers not far from this aesthetically mind-blowing city, I woke every morning to an incredible view and was immediately immersed in local life each day as I took the bus to teach English in the nearby school. Thanks to the close-knit community and their gratefulness for the volunteers who came from other countries, everyone that I met was friendly and approachable. This is something that can be hard to find in big cities, where you seem to blend into the other tourists, and as a result, it is harder to find that close proximity with local people. Most of all, when you volunteer, your interactions with the people you meet are so much deeper and more interesting than the often purely superficial moments you get in the market, or on a bus. I’ve built long-lasting friendships with local people – and other volunteers – that have given me new perspectives on the country I am visiting, and a place to stay next time I travel. I genuinely think that volunteering is addictive. If you enjoy working with people, volunteering is such a fantastic way to broaden your social network, to learn about what it means to be a human-being across the globe, and to remember how good it feels to work with someone and help them to achieve their goals. You also find yourself surprised by what you manage to achieve in partnership with them, too. Volunteering is incredible for how eye-opening the experiences can be: trying to teach English classes to a small group of students in a school without technology and where the reliance was upon rote-learning and textbooks, made me re-evaluate what I, and most definitely my students, had taken for granted in our lessons in the UK. When I visited communities where toilets were mere holes in the ground (albeit with some excellent views across unspoilt landscapes) and running water was a luxury, not an expectation, gave me a lot to think about. Volunteering makes you remember your own privileges and chew over your own approach to life. But you also become even more aware of your own successes, however small they may seem: from managing a transaction in another language in the local shop, to completing the community project that you’re worked months on, everything earns a new significance. Not only will you come away from volunteering with thousands of photos, multiple organisational t-shirts, and cards or notes from grateful people you’ve encountered, but it’ll be the memories that will stick with you for the longest. Those small moments, that were often unexpected but that brought you so much pride, or happiness, or thankfulness. For me, watching my English class present to one another about why they should visit the country that they had prepared, and with all presenting in English, confidently, was one of these moments. 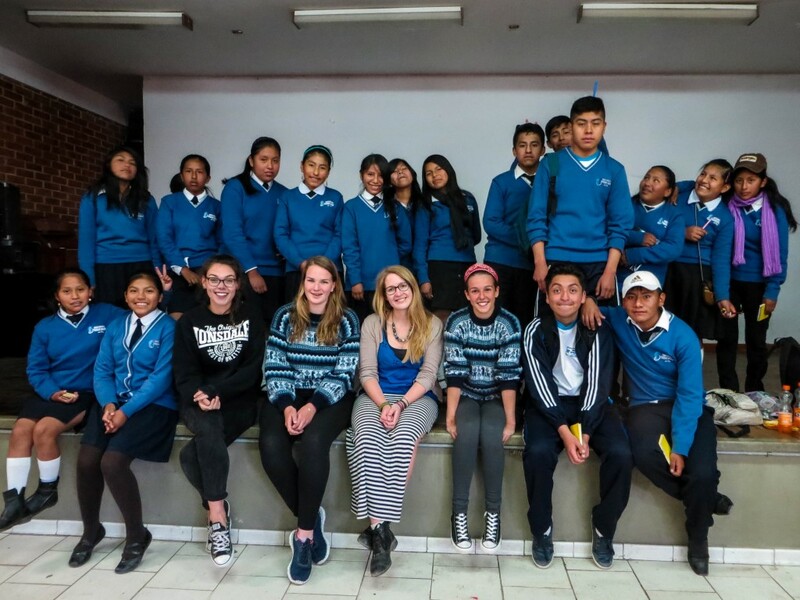 Whatever type of volunteering abroad that you choose, it’s guaranteed to be a decision that will bring even more meaning to your travel or holiday experiences. Not only this, but your time spent working with people from different cultures, countries and backgrounds will give you a chance and an impetus to re-evaluate your own life, leaving you you with a new sense of purpose and direction for your future. And if you’re like me, a volunteering addict, you’ll be looking for the next volunteering opportunity even before your last one has finished. Enjoyed reading about volunteering experiences? Sign up using the subscription bar at the top of the page to receive monthly updates and join me on my journey so that you can plan yours! Want to hear about other volunteers’ experiences? Check out my monthly Volunteer Spotlight. I’d also love to hear about your experiences of volunteering and whether you agree with me by adding a comment below. Get involved! Found this Article Inspirational? Share the Love: Pin Me! Next Post: What Does Adventure Travel Mean To You? This is so true! I’ve had the opportunity to do this, and it’s changed me in significant ways. I can’t wait until my children are old enough to experience the same with us! I love it that parents want to take their children volunteering too! I have see so many inspirational families volunteering together and I think the children (although they don’t necessarily realise it at the time) are the ones getting the most from the experience! I would LOVE to volunteer abroad but so far I have only done it in Europe (Italy and Belgium). I’d love to do it overseas one day: I need my kids to be a tiny bit older to be truly involved and then nothing will stop me! A great read. We have been travelling for a number of years and have just recently signed up with Workaway to find a place to volunteer for a while. I’m also an English teacher and would like to use that skill. The idea of staying in one place and getting to know the people and how they live is very inviting. We would also like to improve our Spanish. So thanks for the encouragement. Yasha you’re going to have an incredible time! Workaway is really amazing for finding volunteering (I’m going to be doing a piece soon about other routes into volunteering) and I have genuinely had my best travel experiences while I’ve been volunteering. As an English teacher you shouldn’t be short of places wanting you to volunteer either! Good luck and it would be great to hear about your experiences! Learning a language is no small feat! Never mind completing daily life transactions in a newly acquired language. Congrats on the blog. It looks great! Your story is inspirational! A really good read. I’ve volunteered on US soil but never abroad. Certainly something I want to try in the future and there are some really great reasons why here!